The Heritage of the Desert is set to cirka 1878 in Arizona: Lee’s Ferry and Painted Desert (ZGWS). John Hare is discovered dying in the desert by Mormons. Because of his settings, Zane Grey often writes about Mormons. Some of his novels are scathing in their critique of their practice of polygamy. But in general he treated them as he treated any other character in his novels. Some were creeps and others were obviously admired by him. At the very beginning of The Heritage of the Desert we meet a group of men who happen to be Mormons. These guys were worried about helping John Hare who was obviously out to get the outlaw Dene. I imagine most of us can relate to not wanting to mess with the baddies. Some of the group decide to leave while August Nabb and his boys decide to save Hare from death by desert. August Nabb’s party consisted of himself, his sons and his adopted daughter Mescal, wife and other comely women. John Hare had come West for his health. He had been thought a spy. These accusations made it necessary for him to run. Hare had gotten lost and one simply does not get lost in the desert. We quickly see that the outlaws have not given up on finding him. What Hare discovers is that the regular settlers are harried by two main parties. One of those is the Dene outlaw gang. For the most part these guys steal cattle from the ranchers in the area. Holderness steals something that the people there hold much dearer: Land. Not only does John Hare learn of the troubles the Mormon settlers encounter, he also learns about their faith and discovers that he is in love with Mescal. Loving Mescal is a problem because August Naab would like her to marry one of his own sons. As with a couple of his earlier biographical works, we see Zane Grey favoring the romance genre in his writing. I find it fascinating that a man like Grey would be attracted to the romance industry. However, I have come to realize that men often wrote romance back in the day. Most of the authors on the market had male names. I don’t know what the tendency is today. Back to The Heritage of the Desert. John Hare is very much aware of how much he owes August Nabb. “They said I fell among thieves,” mused Hare, when he was once more alone. “I’ve fallen among saints as well.” He felt that he could never repay this August Naab. “If only I might live!” he ejaculated. How restful was this cottage garden! The green sward was a balm to his eyes. Flowers new to him, though of familiar springtime hue, lifted fresh faces everywhere; fruit-trees, with branches intermingling, blended the white and pink of blossoms. There was the soft laughter of children in the garden. Strange birds darted among the trees. Their notes were new, but their song was the old delicious monotone—the joy of living and love of spring. A green-bowered irrigation ditch led by the porch and unseen water flowed gently, with gurgle and tinkle, with music in its hurry. Innumerable bees murmured amid the blossoms. How on earth is he supposed to resolve his obligations to Nabb, his feelings for Mescal and being wanted by Dene and possibly Holderness? Zane Grey often anonymized real life characters. Given the timeline of the story Cap Brown is a likely candidate for the role of Dene and his gang. (Nichols) It is probable that Holderness was based on the story of the land hungry character of the cattle baron I.W. Lacy. 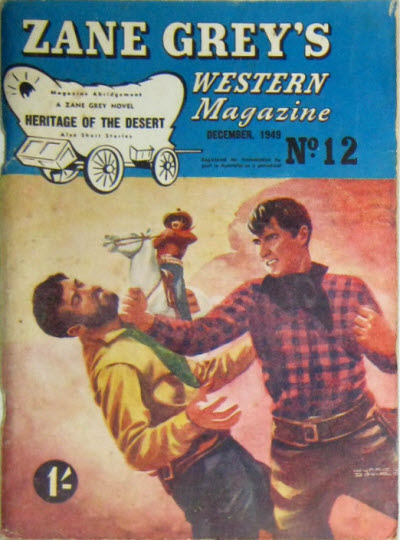 Another main character of Zane Grey’s novels becomes extremely visible in The Heritage of the Desert. This character appears in every single one of his Western Romances. 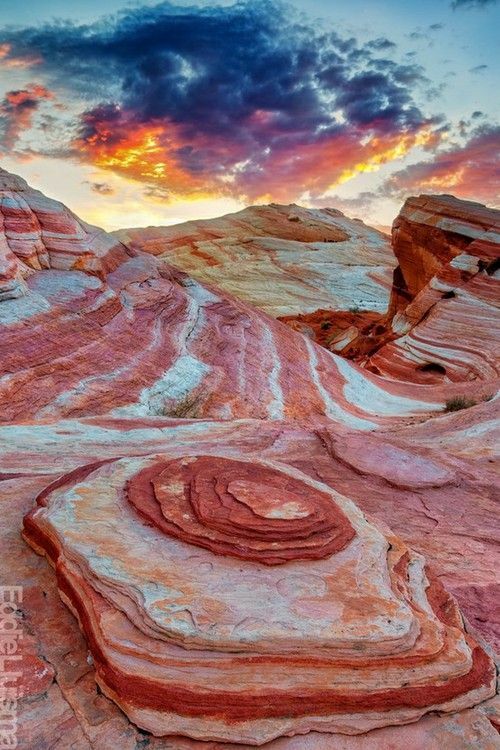 In The Heritage of the Desert the name of that character is Painted Desert in Utah. On his earlier journey with Buffalo Jones, Zane Grey seemed to fall in love with the landscapes of Utah, Nevada and New Mexico. Having lived in Utah for a few years I see his point. Grey’s writing captures the beauty of nature in a manner that even my brain manages to envision. Wolf kept to the fore for some thirty paces, and though he had ceased to stop, he still looked back to see if the horse and man were following. Hare had noted the dog occasionally in the first hours of travel, but he had given his eyes mostly to the broken line of sky and desert in the west, to the receding contour of Echo Cliffs, to the spread and break of the desert near at hand. Here and there life showed itself in a gaunt coyote sneaking into the cactus, or a horned toad huddling down in the dust, or a jewel-eyed lizard sunning himself upon a stone. It was only when his excited fancy had cooled that Hare came to look closely at Wolf. But for the dog’s color he could not have been distinguished from a real wolf. His head and ears and tail drooped, and he was lame in his right front paw. Hare halted in the shade of a stone, dismounted and called the dog to him. Wolf returned without quickness, without eagerness, without any of the old-time friendliness of shepherding days. His eyes were sad and strange. Hare felt a sudden foreboding, but rejected it with passionate force. Yet a chill remained. Lifting Wolf’s paw he discovered that the ball of the foot was worn through; whereupon he called into service a piece of buckskin, and fashioning a rude moccasin he tied it round the foot. Wolf licked his hand, but there was no change in the sad light of his eyes. He turned toward the west as if anxious to be off.